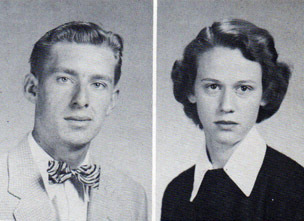 Comments: Shown above are William Jackson Armistead and Madeline Elnmore Bailey, who were two members of the graduating Senior Class of Scottsville High School (SHS) in 1954. 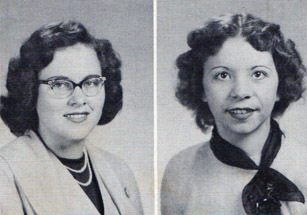 Officers of the SHS Class of 1954 were: Virginia Londeree, President; Phyllis Patterson, Vice President; and Madeline Bailey, Secretary. Medal of Excellency in American History, given by the Albemarle Chapter of the DAR, was presented to David Catlett,Jr. The Danforth Foundation Award, in recognition of qualities of leadership, to Virginia Lee Londeree. The Virginia High School League Award for District Championship in Public Speaking was presented to Doris Ann Cunningham. The Virginia High School League Award for District Championship in Spelling was presented to Virginia Lee Londeree. 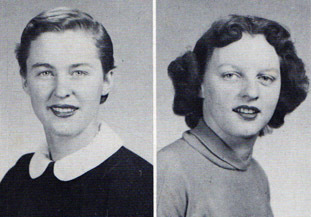 Both women received a certificate of merit, and their names were inscribed on a plaque in the SHS auditorium. The Citizenship Award, given by the Albemarle Chapter of the DAR, was presented to Virginia Lee Londeree. Two picnic benches, made by students in Agriculture-Shop under the direction of T.A. Allison, were presented to Capt. G.R. 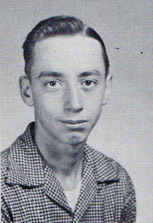 Edgerton as a memento for his untiring efforts as Director of the Scottsville High School Band. The materials for making the benches were donated by a friend of the school. 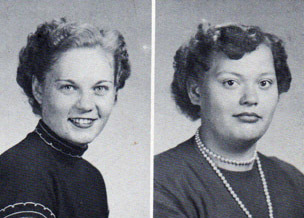 Baccalaureate Services for the 1954 graduating class of Scottsville High School will be held Sunday, May 29, 1954, at 8:15 pm at Victory Theater. Rev. Sidney Sandridge of Schuyler will deliver the address. He will be assisted on the program by Rev. J.E. Daniel, who will pronoune the invocation and the benediction, and by Rev. Webster Simons, who will read the scripture. Special music will be sung by the Scottsville High School Choir, directed by Mrs. Rebecca Miller. The public is invited to be present at this service. Doris Anne Cunningham, daughter of Mr. and Mrs. Dabney Cunningham of Scottsville, was presented with the U.S. Rubber Company award by Donald Carroll, manager of the Scottsville plant, at annual Class Night exercises held Wednesday night at Scottsville High School. Miss Cunningham plans to attend Longwood College, where she will major in home economics. T.H. Gillis, principal of Scottsville schools, presented other awards. 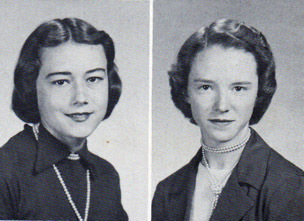 Valedictorian was Virginia Lee Londeree, who had an average of 91.55 on all classes taken; salutatorian Doris Anne Cunningham, who had an average of 91.71 on all classes taken. 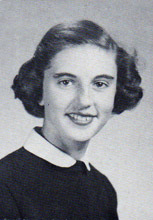 Virginia Lee Londeree received the Social Studies Award, as well as the Mathematics award; David Catlett, Agriculture; Ann Dawson, English; Doris Cunningham, Home Economics; Doris Ripley, Commercial. The William Day Smith Award was presented to Doris Marie Ripley as the honored Senior and to Robert Maidment as the adult recipient. Mr. Gillis announced that 42 pupils had perfect attendance records. 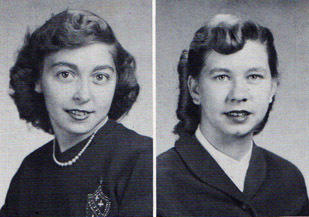 In addition to the awards that were given, members of the Senior Class presented the following program: Virginia Lee Londeree, President of the Graduating Class, introduced each member of the class; Doris Ripley read the class history; Judith Newton presented the class will; Barbara Roberts read the class prophecy; Phyllis Patterson presented the class gift, a Webster's Unabridged Dictionary to be used in the library. The Senior Class was assisted in the program by Rev. E.J. Nottingham, III, who pronounced the invocation and benediction. The Scottsville High School Band played the processional and recessional and also played a special selection during the program.